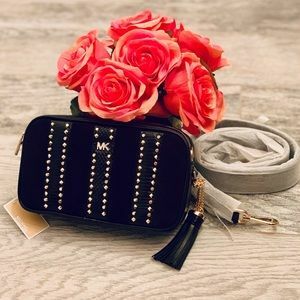 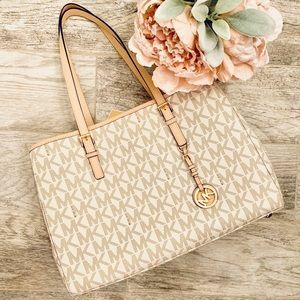 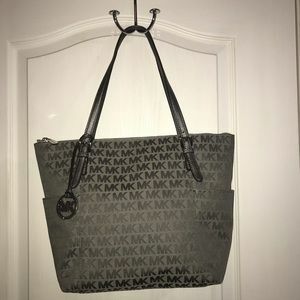 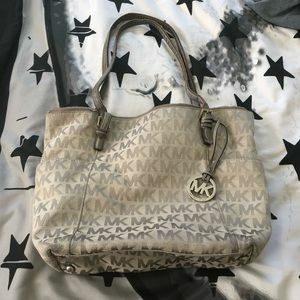 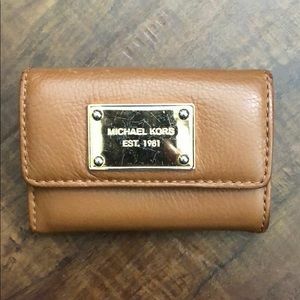 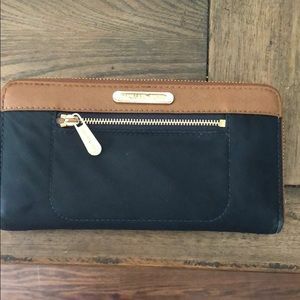 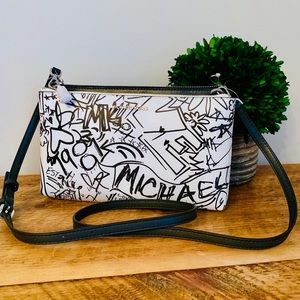 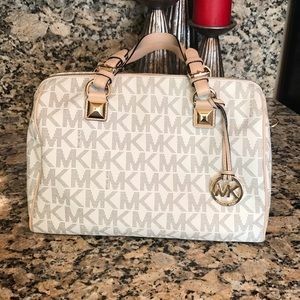 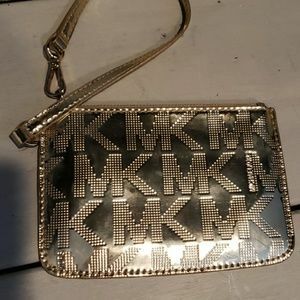 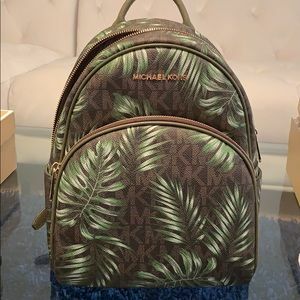 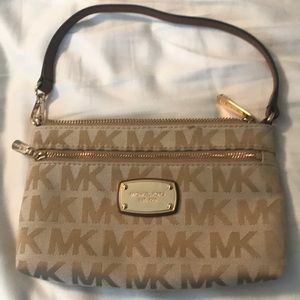 Mk like new clutch, beautiful fashion. 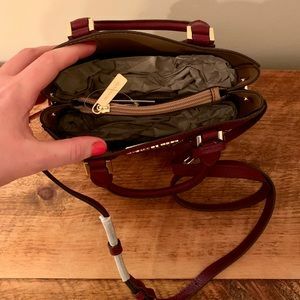 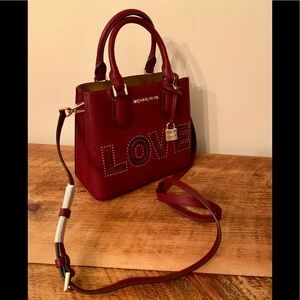 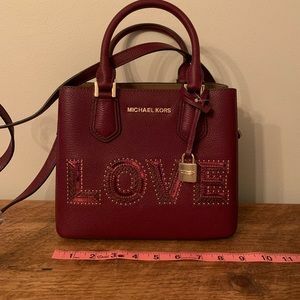 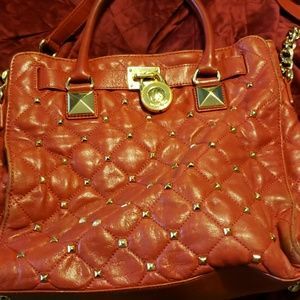 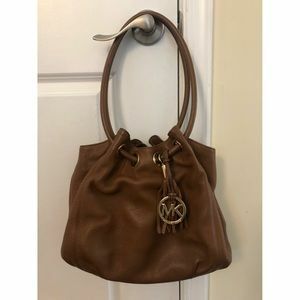 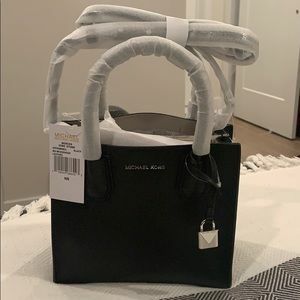 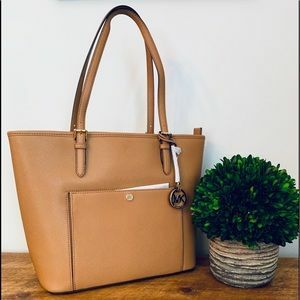 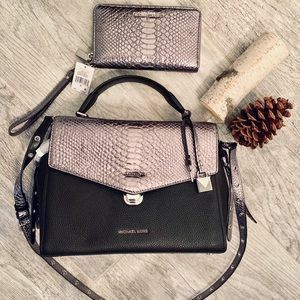 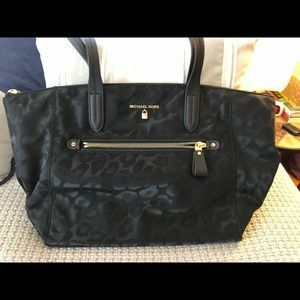 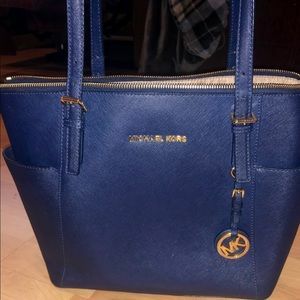 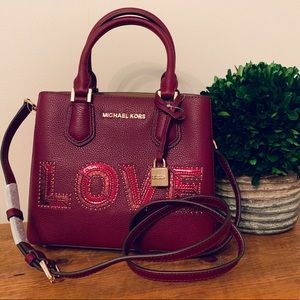 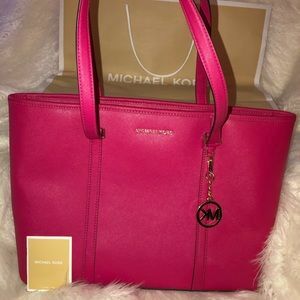 New With Tags Michael Kors Adele MD Messenger in Merlot. 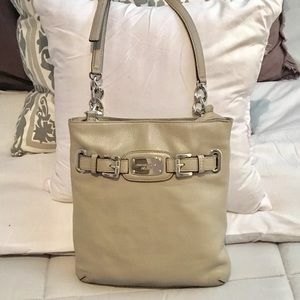 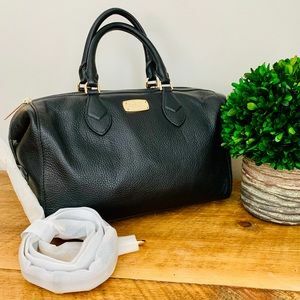 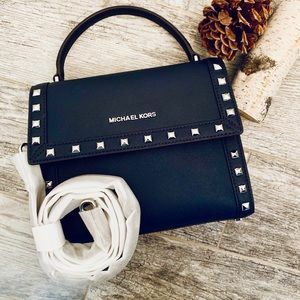 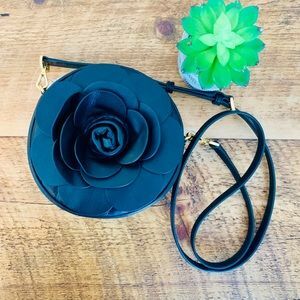 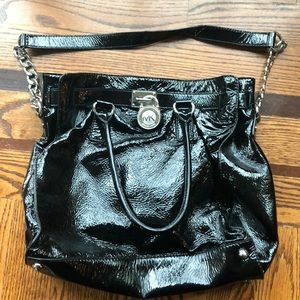 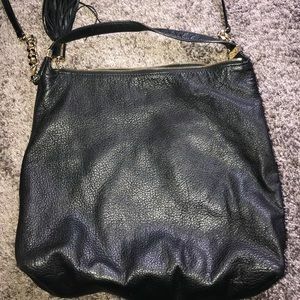 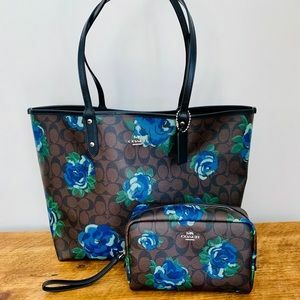 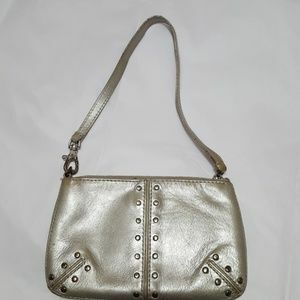 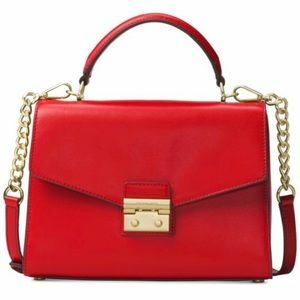 Gorgeous leather bag, a truly unique piece! 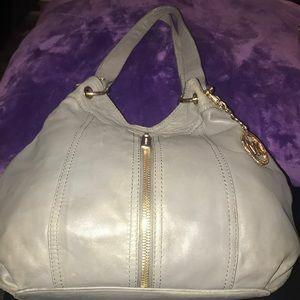 Open top with middle zippered compartment. 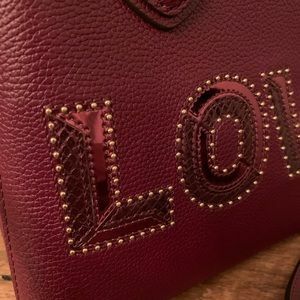 Light surface scratches to hardware, including bag feet. 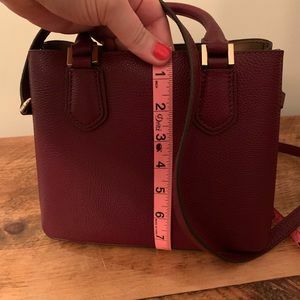 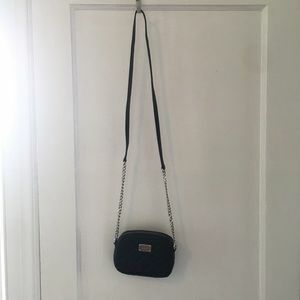 Adjustable strap, measurements in pictures. 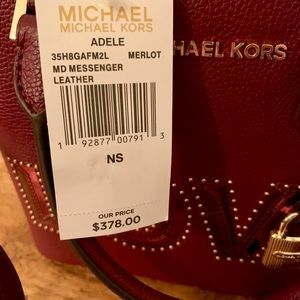 MSRP $378.